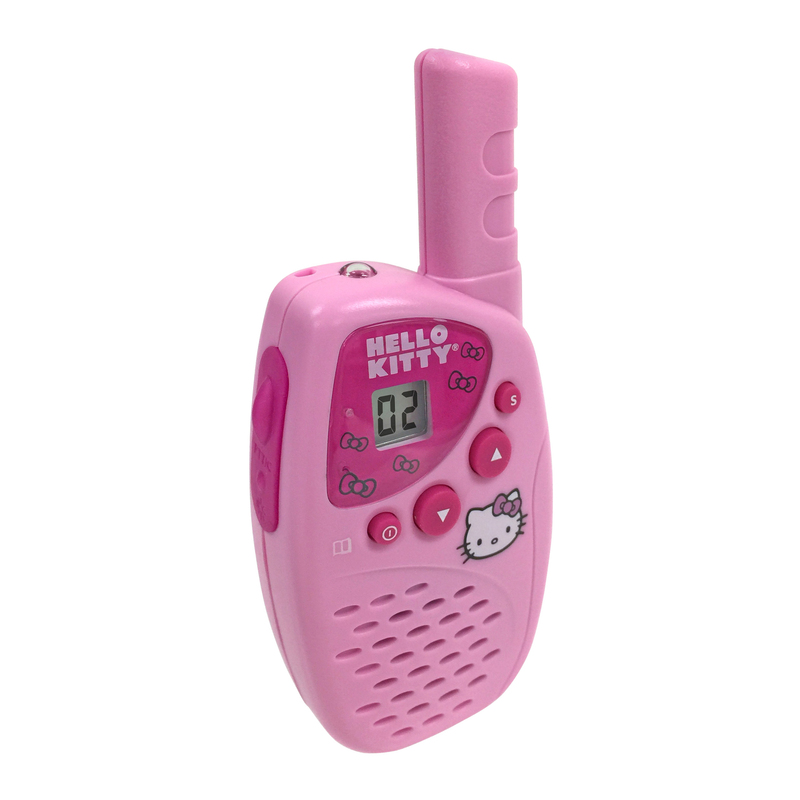 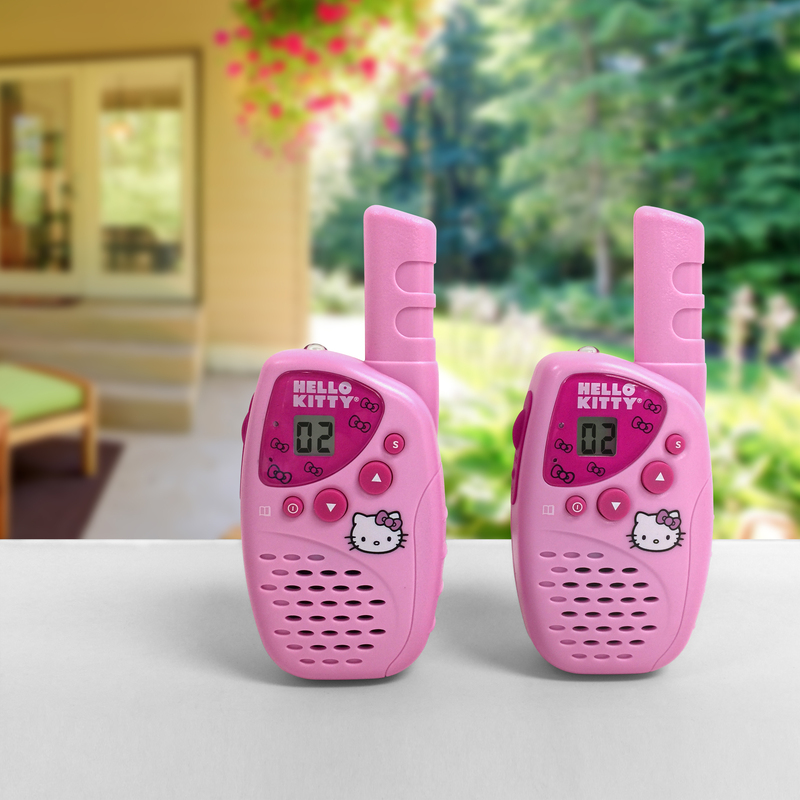 Connect with your inner "Kitty" as well as your friends and family with this adorable FRS/GMRS set. 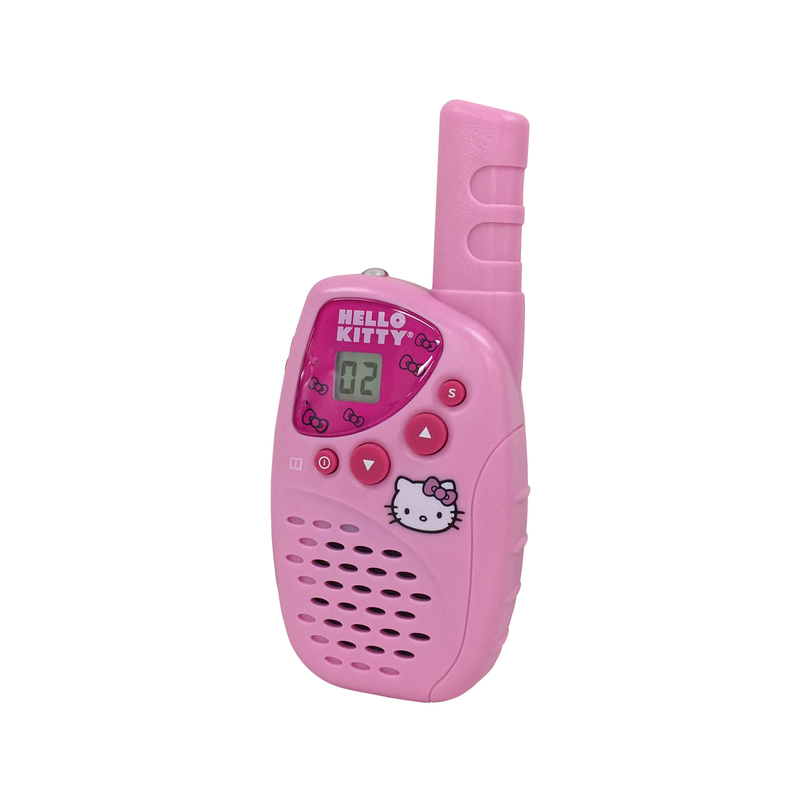 This isn't a toy but a full-function family communication system with up to two miles FRS or five miles GMRS range so they work over a long distance. 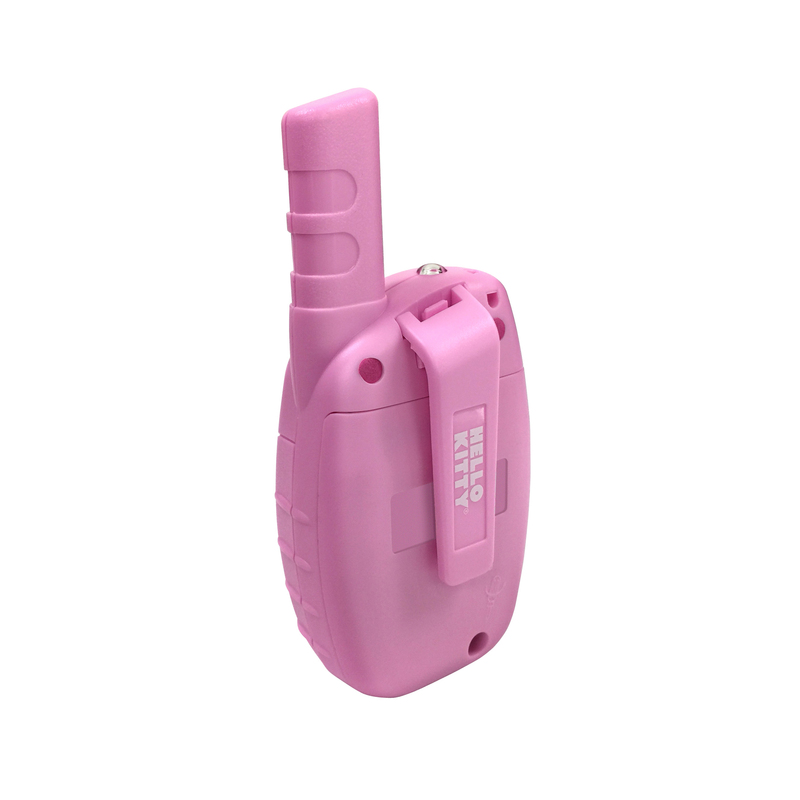 Use it for emergencies, hiking or at theme parks to keep in touch with friends and loved ones. 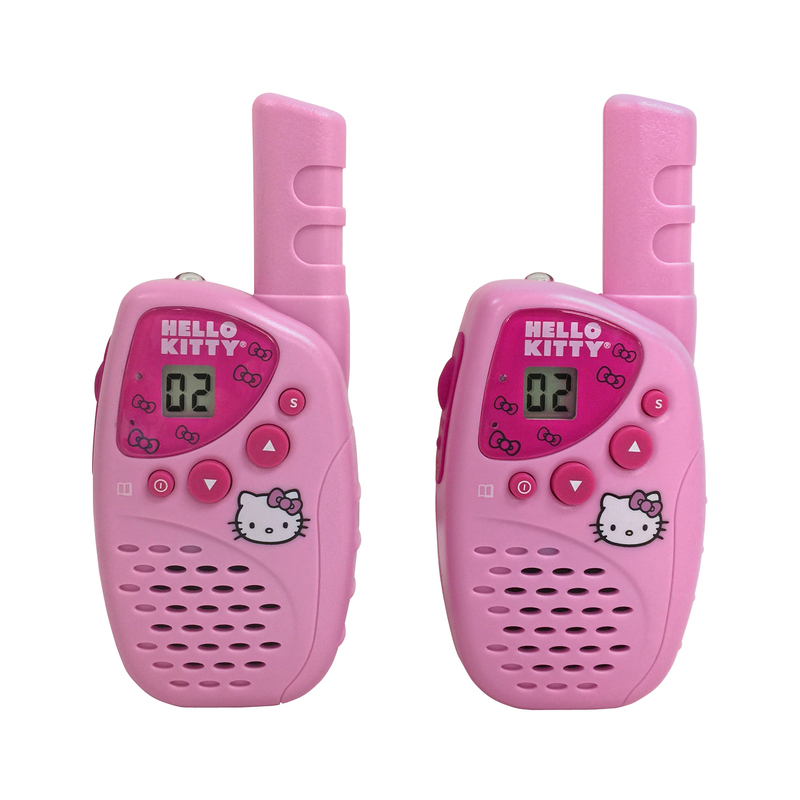 With 22 channels, including 14 free use, a child is almost certain to easily find a line that is clear for communicating. This high quality set offers a talk time of up to 25 hours.